North Dakota is a state where the rolling plains meet intensely blue skies. Much of the state is wide, open spaces that have been largely untouched since the area was explored by Lewis and Clark and their team. Visitors looking for a cultural experience will find a thriving arts community in North Dakota, including museums, historical theaters, and concert venues. 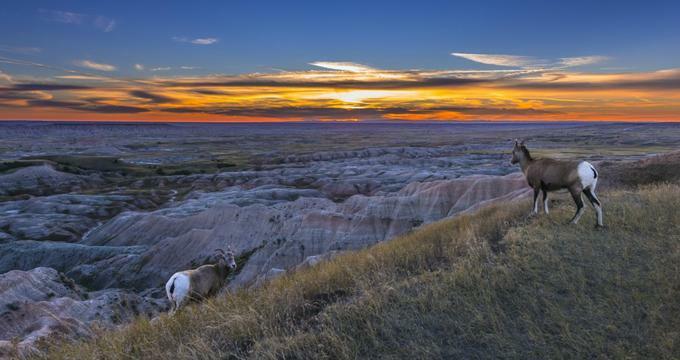 Here are the best things to do in North Dakota. The North Dakota Heritage Center and State Museum is the official history museum of the state of North Dakota. It is located on the same grounds as the State Capitol building. The museum features both permanent and temporary displays related to more than 12,000 years of the state's history. The museum is roughly divided into sections that represent time periods. The exhibits include Triceratops and Tyrannosaurus skeletons, Native American cultural artifacts, agricultural machinery, and more. The Treehouse is a section of the museum that is especially dedicated to young children, and it allows them to learn and explore through play and kid-friendly exhibits. 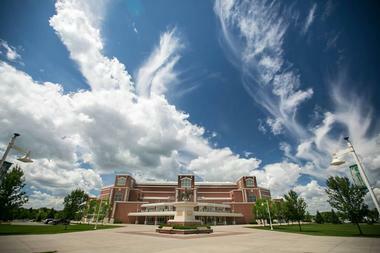 The Ralph Engelstad, an indoor arena that seats nearly 12,000 people, is situated on the campus of the University of North Dakota. The venue is home to the university's men's and women's ice hockey teams. The arena is known for having some of the most impressive furnishings of any hockey arena and features granite flooring in the concourses as well as spectator seating made from cherry wood and leather. In addition to hosting home games for the hockey teams, the arena hosts many concerts and annually holds a circus. The complex features a second Olympic-sized ice rink known as The Betty that is home to the university's volleyball and basketball teams. Scandinavian Heritage Park is a park in Minot that is dedicated to the history and culture of Sweden, Norway, Finland, Denmark and Iceland. 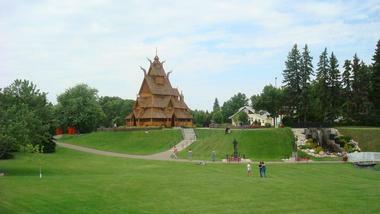 The best place to start a visit to the park is by touring the Scandinavian Heritage Center. The center is home to a tourist information center as well as a gift shop with a wide range of books and Scandinavian-inspired gifts and souvenirs. The displays include items from each country, including a 25-foot Swedish Dala Horse, a replica of a Scandinavian Stave Church, a grass roof Stabbur, and much more. There are memorials to Scandinavian ancestors as well as a flag display that honors each of the countries as well as Canada and the United States. 4.South Unit Visitor Center & Theodore Roosevelt N.P. The South Unit Visitor Center is a visitor center and entrance to Theodore Roosevelt National Park near the town of Medora. The Visitor Center houses a museum that includes collections related to Theodore Roosevelt as well as displays on the history of the area, geology, and nature. The center shows a 17-minute film related to the park and presents a variety of ranger programs throughout the summer. The Maltese Cross Cabin is located near the Visitor Center and includes at least two items that belonged to the President when he used the cabin as his temporary home and hunting cabin. The Dakota Zoo is a zoo located on the banks of the Missouri River in Bismarck. The zoo is home to a variety of animals ranging from Whitetail Deer and Wild Turkey to Bengal tigers, grizzly bears, and more. Guests can feed animals in Prairie Dog Town, the barnyard area, and the whitetail deer enclosure. The concession stand sells a variety of popular park food including hotdogs, nachos, beverages, and cotton candy. Strollers can be rented from the concession stand as well. The stand also sells tickets for the train that departs from nearby. The zoo is handicapped accessible and has a limited number of wheelchairs available for guest use. Fort Abraham Lincoln State Park is a state park near Mandan. 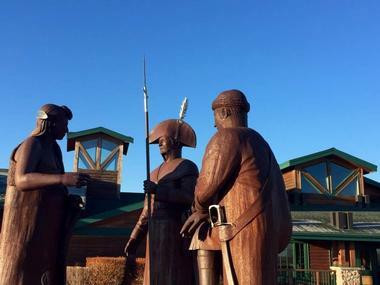 The park is home to the reconstructed On-A-Slant Indian Village, which tells the stories of the Mandan Indians who lived in the area from 1575-1781. Additionally, there are several reconstructed military buildings from the military post that once stood on the site including the Custer House. The park features several recreational facilities, including a modern campground. The campground has picnic sites and a playground, and it offers scenic views of the Missouri River. In addition to the modern sties, the park has four primitive campsites with horse corrals. The North Dakota State Capitol houses the government for the state. The Capitol is a 21-story art deco style building that shares its grounds with several other government buildings. The Capitol grounds also include several trails, monuments, and parks with informational signs and plaques that inform guests about the history of the state. The building itself is the tallest building in the state of North Dakota, and the 18th floor features an observation deck that is the highest in the state. Visitors can tour the Capitol building on weekdays. Tours visit both the judicial and legislative branches of the government and travel by elevator to the top of the tower. The Red River Zoo is a zoo in Fargo that is home to more than 600 animals from 89 species. The zoo includes red pandas, wolves, and an impressive river otter exhibit with indoor and underwater viewing capabilities. The zoo specializes in breeding rare cold climate species, including red pandas, Sichuan takin, and Russian Red Tree squirrels. The zoo sits on a 33-acre farm known as the Red River Ranch. Some of the original farm buildings have been renovated for the zoo's current use. The zoo hosts many family friendly events throughout the year, including the popular ZOOcation series. The Fargo-Moorhead Redhawks is a professional, minor league baseball team that is based out of Fargo. The team was originally founded as a part of the Northern League expansion franchise. Today the team plays in the American Association. The team plays their games at the Newman Outdoor Field, which also hosts a variety of other events. The team won five Northern League titles before that league disbanded and won the 2012 and 2013 American Association North Division Championship. The team plays a full schedule of home and away games throughout the baseball season. 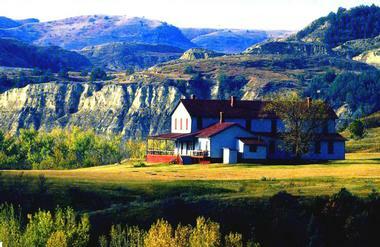 The Chateau de Mores is a historic home in Medora that was built by the Marquis de Mores. The home was constructed in 1883 as a summer home and hunting lodge. The site features a permanent exhibit called "Rails Ranching and Riches," which tells the story of de Mores and his family. Visitors can take tours of the home, which features 26-rooms of the family's original artifacts. Some of the museum's interesting holdings include a small-scale refrigerator car as well as an original stagecoach from the family's company. The site also frequently hosts temporary exhibits. Additionally, the historic site shows a film to orient and introduce visitors to the site. Fort Union Trading Post National Historic Site is located on the Missouri River. The site is home to a partially constructed historic trading post and military post. The fort was built around 1828 and was an important trading post until 1867. It was central to the fur trade in Montana and nearby states. Many Native American tribes visited the post to trade furs for other useful items, and a number of historically significant figures visited the site, including John James Audubon, Sha-co-pay, Sitting Bull, and Jim Bridger. Today the fort has been partially reconstructed and exists in the way that the fort may have looked in 1851. The National Buffalo Museum is a 6,000 square foot museum dedicated to preserving the culture and history of the North American Bison as well as Native peoples. The museum features exhibits related to the art and artifacts of Native America, including many pieces of art portraying bison. One is the original Thundering Herd oil painting. Additionally, there are several wildlife mounts, including many buffalo heads and a full size buffalo. Museum visitors can also see a 10,000-year-old bison skull. In addition to the museum displays, guests can see the museum's live buffalo herd. The herd has 25-30 head of buffalo, including a white buffalo named Dakota Miracle. Frontier Village is a site that includes several original villages from North Dakota's frontier. The buildings have been moved to this site in Jamestown from all over the state. The buildings are decorated and furnished with artifacts and antiques from pioneer life on the plains. 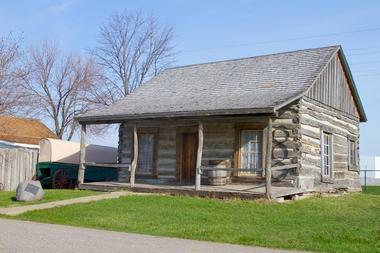 The village includes a writer's shack dedicated to popular western author Louis L'Amour. 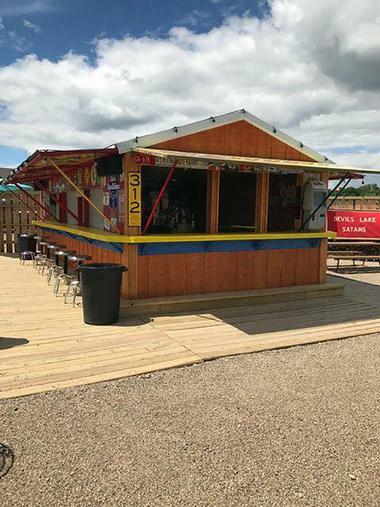 The on-site gift shop sells a selection of North Dakota related products, handicrafts, souvenirs, and unique gifts. 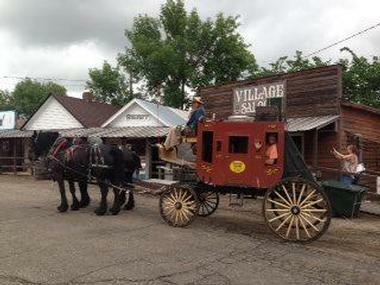 Frontier Village offers seasonal pony rides and wild-west shoot-outs. The Fargo Air Museum is a museum dedicated to aviation. It is located at the Hector International Airport in the north part of Fargo. The museum owns many historic aircraft with the large majority of them being in flying condition. 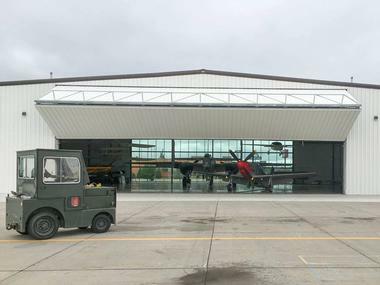 Some of the flyable aircraft that are on display include the P-51D Mustang, "Duggy" the Douglas DC-3, and a homebuilt Velocity fixed-wing aircraft. Some of the museum's aircraft that are not in flying condition include a UH-1 Huey and a Polish Iskra Jet. In addition, the museum's collection includes a full-scale replica of a Wright Brothers flyer. The museum has a well-stocked gift shop that sells aviation related gifts, souvenirs, books, and apparel. Fort Mandan was an encampment on the Missouri River that the Lewis and Clark Expedition built to spend the winter of 1804 and 1805. The original fort is believed to be under the water of the river, but a replica of the original site has been reconstructed nearby. 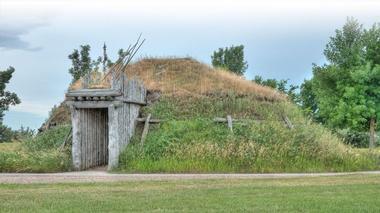 The reconstructed fort is about two miles to the south of the Lewis and Clark Interpretive Center in Washburn. The fort is fully furnished in pieces that are true to the time period. Guests who visit the reconstructed fort can learn about what it was like for the men from the expedition who spent a harsh, North Dakota winter there two centuries ago. The North Dakota Lewis & Clark Interpretive Center is a museum located quite near the reconstructed Fort Mandan as well as what is likely the original site where the Lewis & Clark Expedition spent the winter of 1804-1805. The center preserves and displays historical artifacts and other displays about the expedition as well as Fort Clark and the early fur trade. 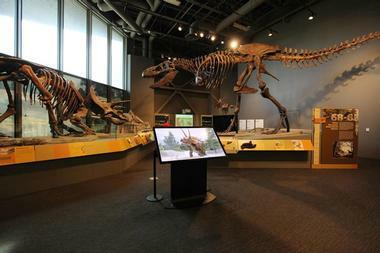 The museum features interesting, interactive exhibits and offers special educational opportunities and programming for students and other tour groups. The center features a museum store that sells a selection of North Dakota related merchandise, unique jewelry, apparel, gifts, books, and souvenirs. Bonanzaville USA is a family friendly museum complex ran by the Cass County Historical Society in West Fargo. It consists of more than forty-five buildings set up as a historic village on 12 acres of land. Many of the buildings are authentic historic buildings that have been transplanted from the surrounding area. The buildings in the village span several eras and depict life in North Dakota from the mid 1880s until the present time. Some of the buildings in the town include the 1890s Arthur Town Hall, a blacksmith shop with original furnishings, and the Brass Rail Saloon and Hotel. Several museums are part of the village, including the Eagle Air Museum, Law Enforcement Museum, and Railroad Museum, among others. 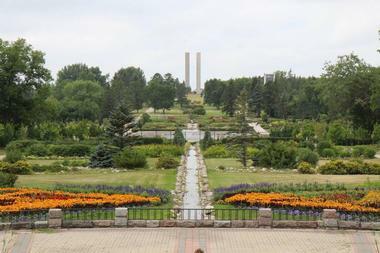 The International Peace Garden is a nearly 4-square mile park on the international border of the state of North Dakota in the United States and the province of Manitoba in Canada. The park features several acres of both wild and manicured gardens. The centerpiece of the park is a cairn built from fieldstones that were gathered nearby. The structure sits exactly on the 49th parallel, denoting the border of the two countries. The park features multi-use hiking and bike trails, a peace chapel, restaurant, gift shop, floral clock, and a memorial to the 9-11 terrorist attacks. 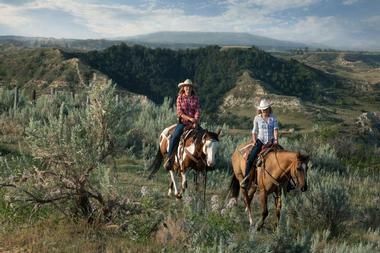 Medora Riding Stables offers horseback trail rides for individuals and groups in the Medora area. The horses are well trained and good for beginning to advanced riders. Guests can take guided trail ride through the Badlands. 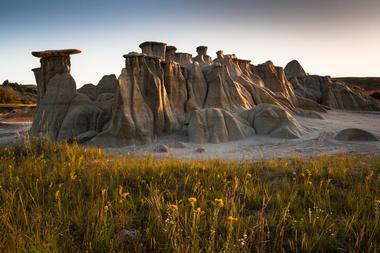 The trip will pass near canyon rims and buttes where the scenery is fantastic and includes the National Grasslands. Guests sometimes spot prairie dogs, bison, and wild horses along the trail. The trail rides are family friendly but only permit guests age 7 and up. The staff is well trained at helping young and inexperienced riders have a great experience. The trail riding company offers 1 and 2 hours rides for guests to choose from. Lewis and Clark Riverboat is a tour company operated by The Fort Abraham Lincoln Foundation. 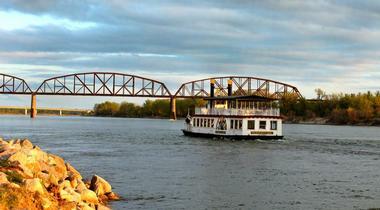 The company offers daily cruises on the Missouri River. Public cruises spend 1-2 hours cruising the river and taking in the sites and sounds of the waterfront. Guests have the option to purchase meals, snacks, and beverages aboard the boat, but outside refreshments are not allowed. There are daily regular trips as well as more elegant and upscale evening dinner cruises. The riverboat is available for private charter and event use. Tours operate seasonally. Fargo Theatre is an art deco style movie theater in downtown Fargo. The building was constructed in 1926 and was restored in 1999 to its original appearance. The theater is a cultural center for the Fargo area that often hosts private events that are related to film, music, and art. The theater shows a variety of films especially independent and foreign films and frequently features film series. 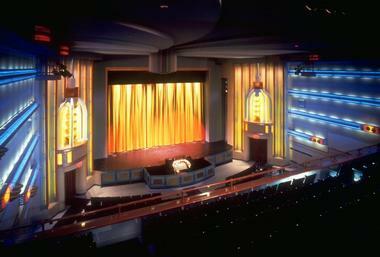 The theater is a popular concert venue as well. The Fargo Theatre offers a birthday party package for guests to celebrate their big day with a movie of their choice on the big screen. The Knife River Indian Villages National Historic Site preserves the site of a former Native American trade center and later fur trading hub. There were three villages known as the Hidatsa villages that once made up the Knife area. The villages have received some fame because of the fact that well-known Native American Sacagawea lived in one of the Knife River Villages. The archeological artifacts and historical sites have been preserved in the National Historic Site. The site includes the remains of earth-lodge dwellings where the original inhabitants lived. Popular park activities include walking the relaxed village trail or hiking one of the more extreme hiking trails. Several trails of varying lengths are available. Fishing is also permitted on the park's waterways. The Plains Art Museum is a museum dedicated to regional art, including Native American, contemporary, and folk art. The museum features several ongoing exhibits as well as space for temporary exhibitions. Some examples of art exhibits include an International Harvester photography exhibit and The North Dakota Mural. The art museum offers a range of programming and educational events as well as rental space for private events and parties. The museum is home to the Katherine Kilbourne Burgum Center for Creativity, which is a community education facility offering classes as well as studio and exhibition space for community members. 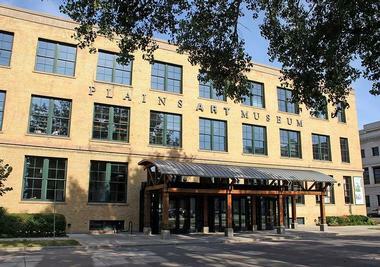 The Plains Art Museum features a museum store that sells unique handcrafted items, souvenirs and more. Sertoma Park encompasses 22 acres, making it one of the largest public parks in Grand Forks. 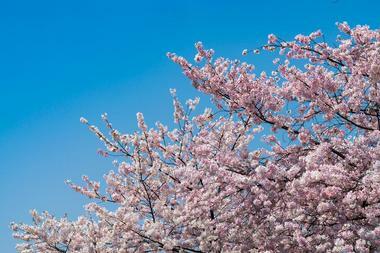 It features a Japanese garden that was a gift from the town's sister city of Awano, Japan. The garden features relaxing water features, rolling hills, trees and plants as well as three lanterns built out of granite rocks. Each has its own meaning. In addition to the Japanese Gardens, the park features a unique, handicap-accessible playground known as Ally's Boundless Playground. Other amenities include lighted multi-use trails that connect to the Greenway, an arboretum, picnic facilities, restrooms, and a meditation space.